Can I preface this post by saying that Nashville is quite possibly THE coolest city there is? We decided to book a mini vacation to the music city when we found out the Aggies were playing Vanderbilt at Vanderbilt. Seeing our Ags play football and tour a new city? Yes, please! 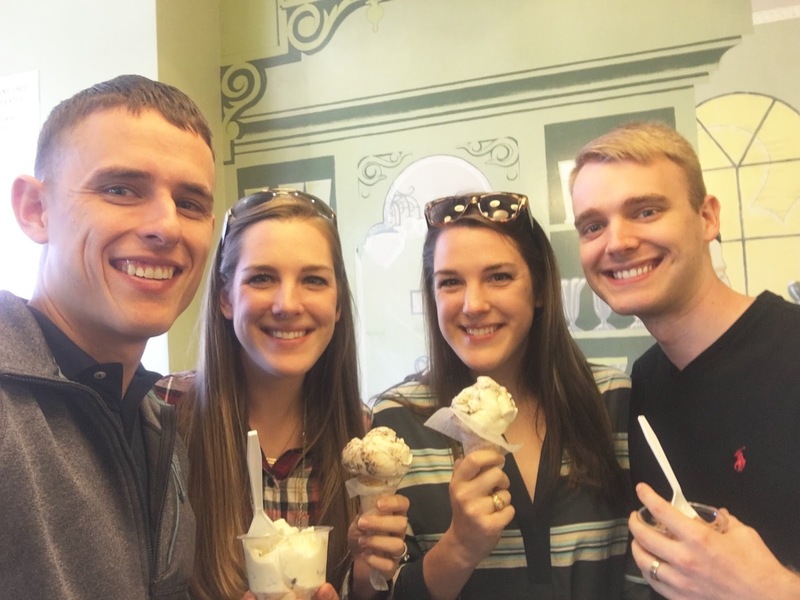 As if that weren't exciting enough, my twin and her husband (Danielle and Logan) met us there. 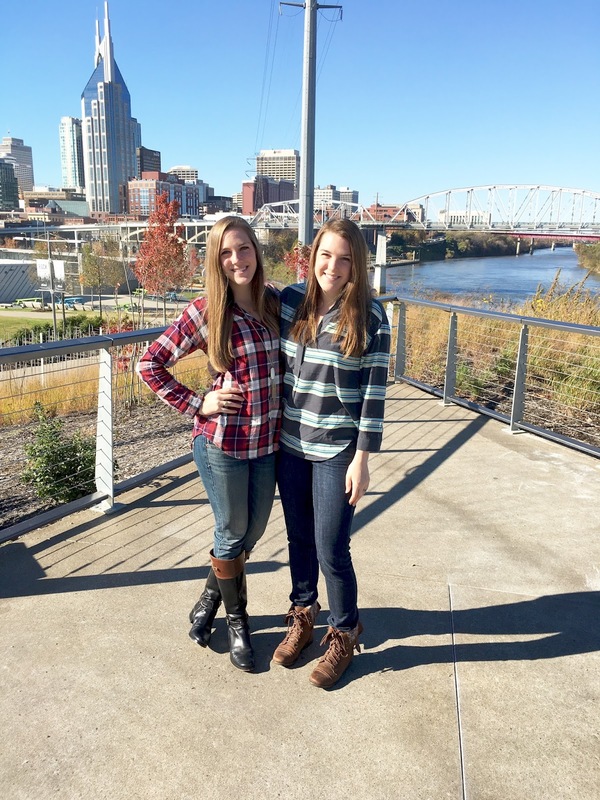 Nashville was a not-so-short 10 hour drive away, but totally manageable and totally worth it. Actually, we spent half the car ride scratching our heads at the fact that it didn't occur to either of us to fly. We started day 1 off with a Segway tour of the city. 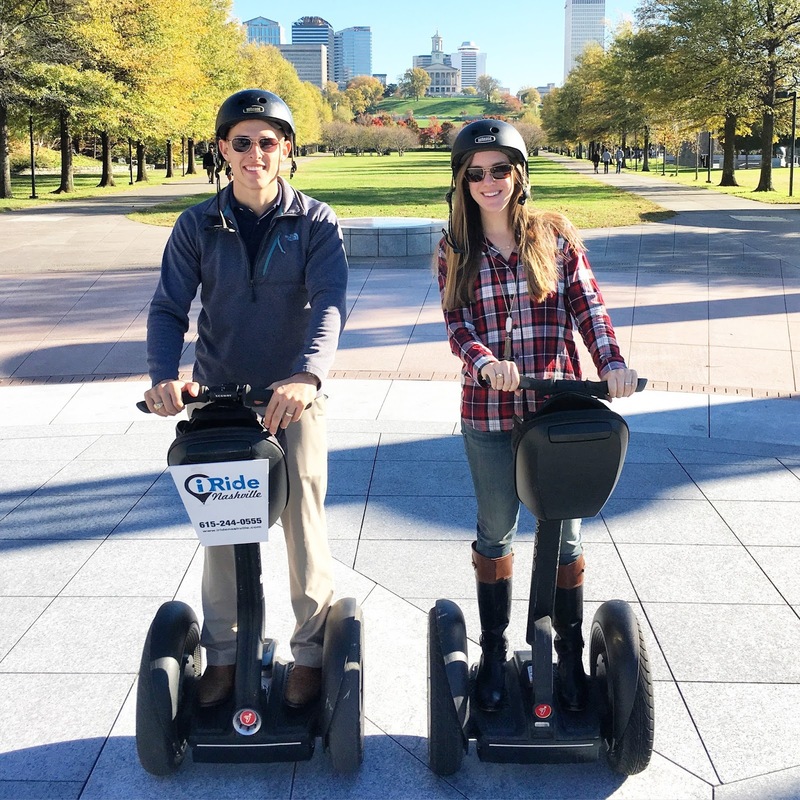 I've always thought a Segway tour sounded like so much fun, and it definitely did not disappoint! 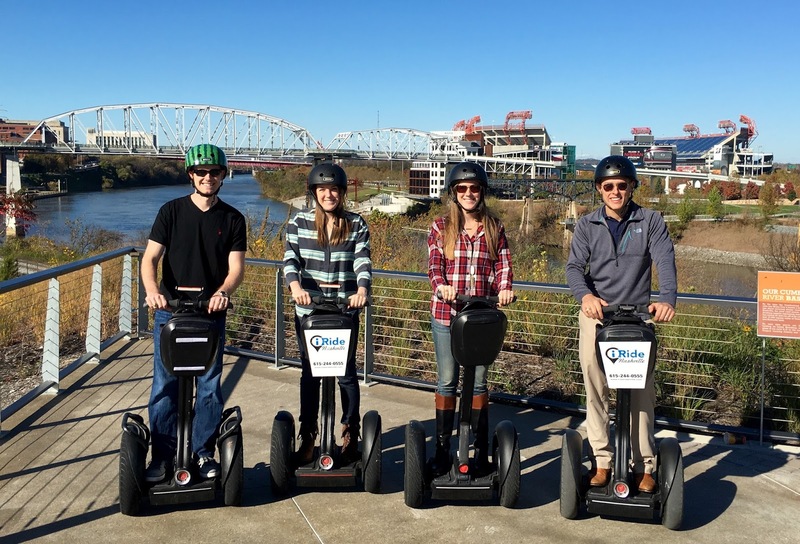 If you are in a new city and feel like exploring, go the Segway route. So fun! It was an absolutely beautiful day and the warmest we had while we were there. We rode to the top of a park and had an awesome view of the city. The building on the right in these next two pictures is the AT&T Building, also known as the Batman Building. If you look at it square on, it looks like Batman's mask. Cool, right? After a little R&R back at the hotel, we all ventured out for dinner at The Stillery. Parker and I split the Hot Chicken, which is apparently a Nashville must-eat. 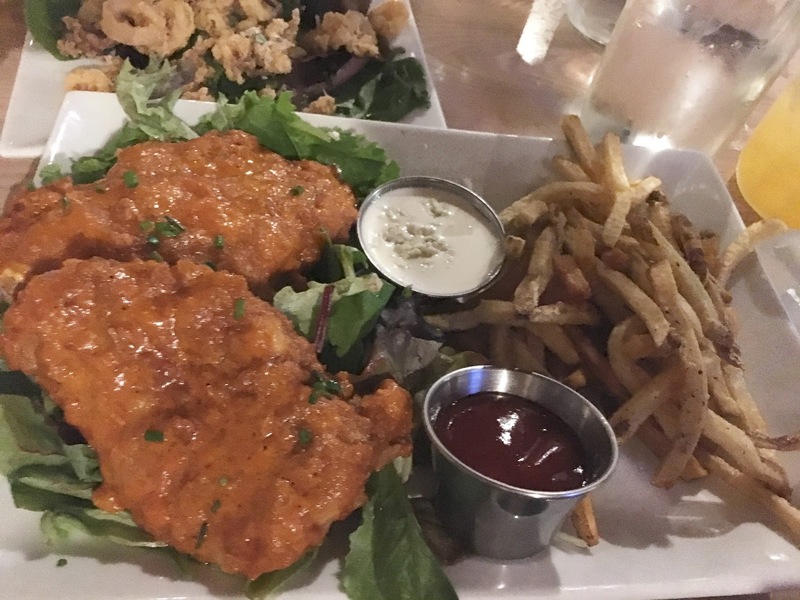 We had never heard of it, but it's basically fried chicken with a somewhat spicy sauce. After dinner, we took a stroll down John Seigenthaler Pedestrian Bridge. 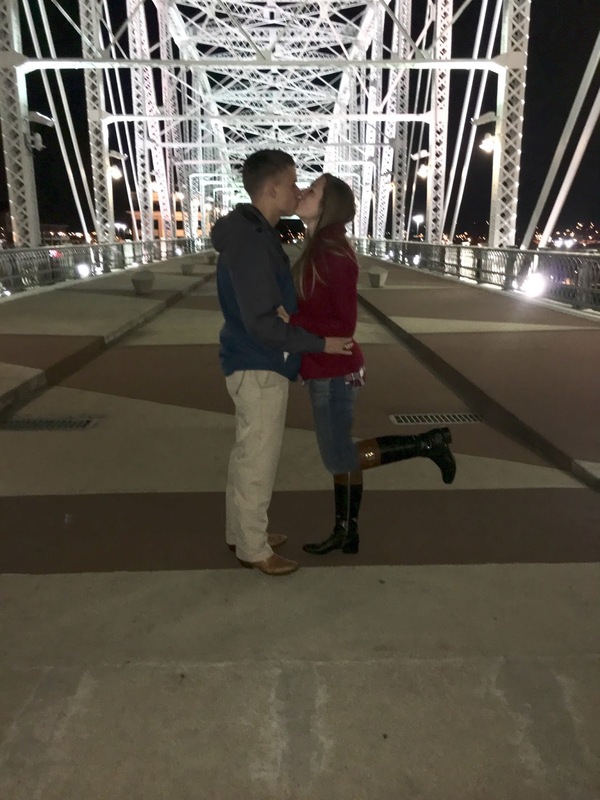 Our Segway tour guide had mentioned it was really romantic in the evenings and that several country music videos have been filmed on this bridge. Pretty cool! Friday, Parker and I woke up feeling all the food we had eaten (because vacation, obviously), so we decided to go on a little run around the city. The "little run" turned into 4 miles, which is pushing my running comfort zone these days. We had so much fun though! 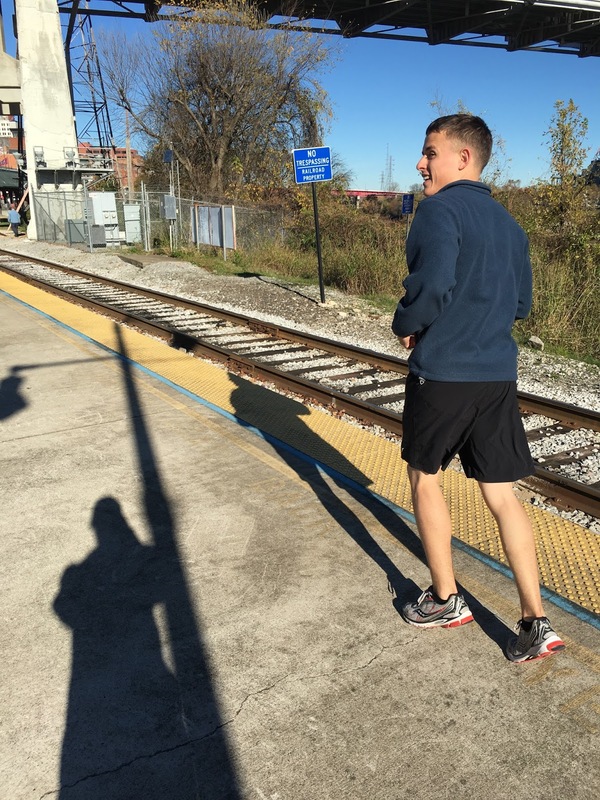 Running is much more enjoyable with a buddy, and that husband is the best motivator. 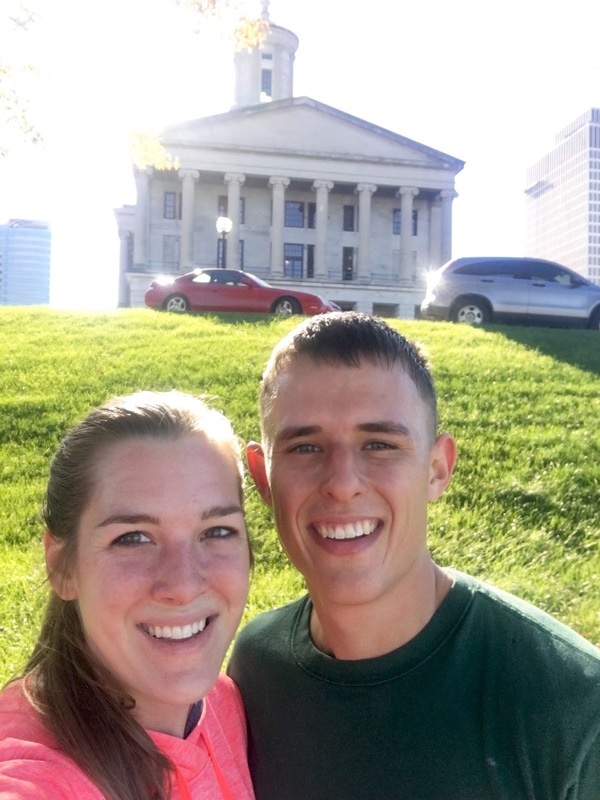 He got a look when he announced we were going to run up the steps to the capitol, but it was well worth it! We cleaned up and headed to a quick breakfast at Frothy Monkey. The great thing about Nashville food is that you really can't go wrong. We chose this place because it was quick, we were starving, and Danielle and Logan had already eaten. It ended up being delicious though! After some much needed breakfast, we headed to the Country Music Hall of Fame. I love country music but admittedly didn't know a lot of the older artists. One thing I did know? Taylor Swift. 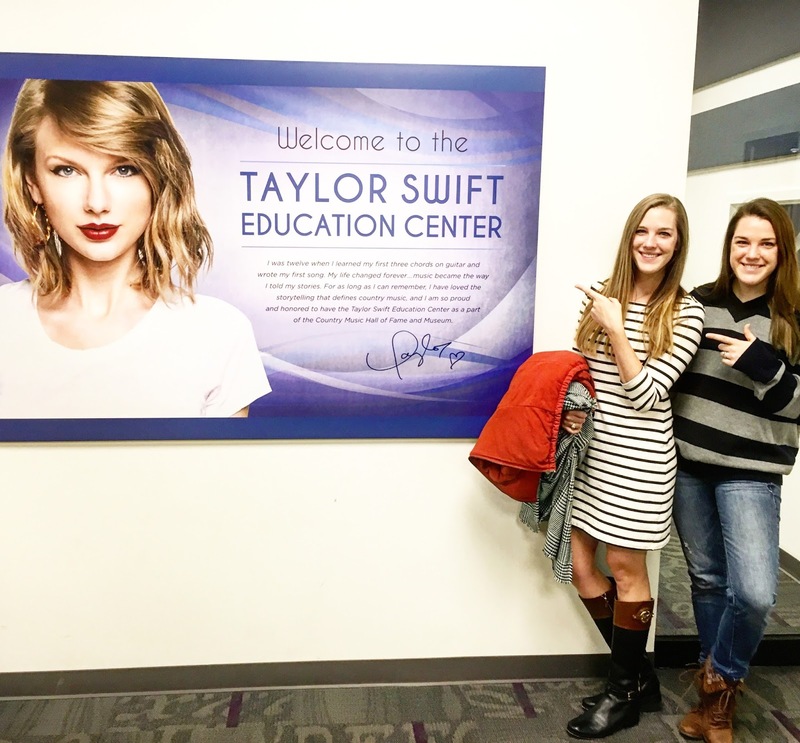 And there was a Taylor Swift Education Center. Yes, please! 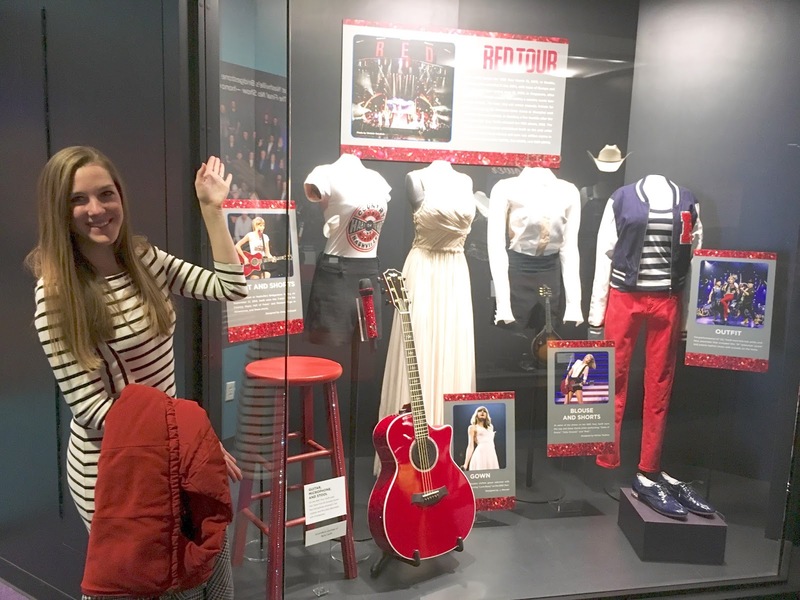 My love for TSwift knows no limits, and even though this exhibit was smaller than most, it was of course my favorite. 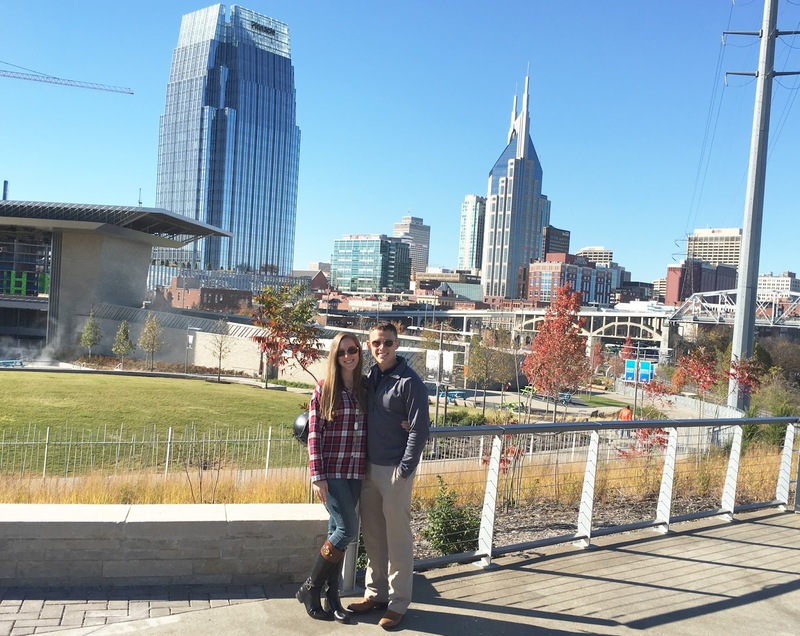 I absolutely love this post and can't wait for part 2, Nashville is my most favorite city ever!!! This looks awesome! My boss suggested a segway tour. They seem so fun! Also, "Parker really branched out and got a cheeseburger." made me laugh outloud. I love, love, love living in Nashville! It's a great city. Hey I have a twin sister too! haha cheers to womb mates. I have always wanted to visit Nashville, maybe one day it will happen. We don't really live that far away. Glad you had such a wonderful time in Nashville. I've been THROUGH the city dozens of times on my way to vacation (We fly out of their airport) but only visited the city once. Andy and I plan to visit there at some point in the future! My sister and brother in law live there right in the heart of Nashville! We've been dying to go. Plane tickets to Nashville for the Vandy game were all sold out or ridiculously expensive! This blog post is really giving me an itch to go now! Nashville is probably my most favorite city ever! I secretly wish to move there. I don't know if you guys did it or not, but President Andrew Jackson's hermitage is right outside nashville and is probably thee coolest place as well! So glad you guys had fun! 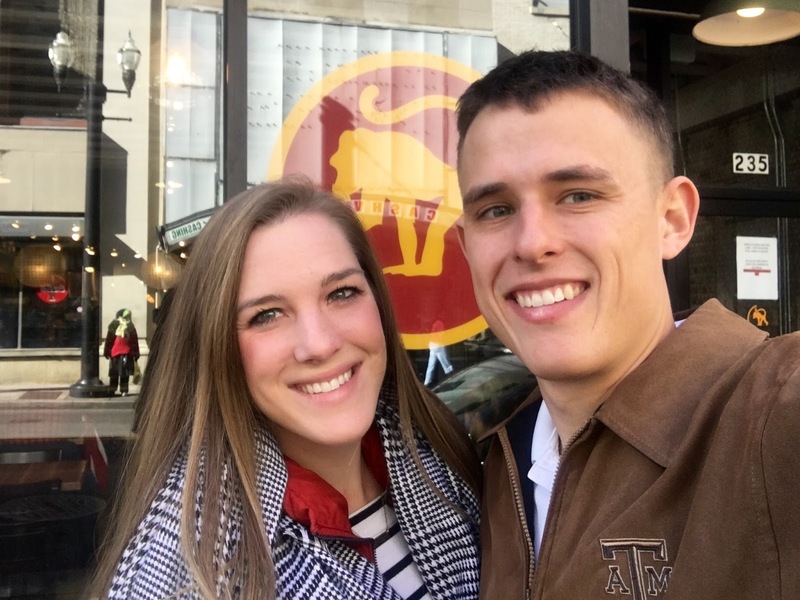 We were stationed at Fort Campbell for three years so we spent some time in Nashville. It is so cool. It has older more historic parts and hip young parts. I really miss the food! Fun! I've been to Nashville a couple times and really enjoyed it both times. I've never done a segway tour of any city - sounds fun! Ugh and now I wanna visit Nashville! Looks like a wonderful time and lots of fun memories! Nashville is so fun! I love that some many restaurants have great food and great live music. Once you've taken in the unique décor at this place, the hardest part is to decide whether to go upstairs or downstairs. With a large open floor plan of venue NYC, you'll find bars on both levels, and someone will always come by to serve you matter where you decide to hang out. 3 Years Already? Happy Birthday, Little Blog!